Sourced from the Miguetito Bosa release ‘Act II Madrid’ this is a strange choice indeed. There’s no doubting the show is amongst the best of the entire tour, however there are better quality recordings and more interesting set lists circulating so the reasoning behind choosing this show is a mystery to me. That said, I ain’t complaining as their is a vast difference between this and the original release. Most obviously the NPG’s opening set has been included on this release and the quality of the recording is very similar to the main show which makes the two flow together very nicely. The recording of the main show has also undergone a fair amount of work with excellent and very audible results. I’m very happy to say the distracting hiss has been removed, the audience level is FAR less overpowering and the drop-outs have been rectified. The show itself is (as previously mentioned) amongst the best of the Act II tour. 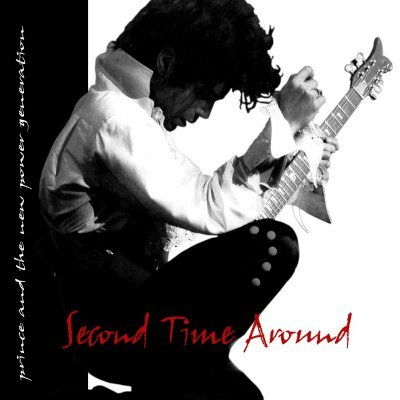 It’s pretty unsurprising until ‘She’s Always In My hair’ where Prince adds a few lengthy matador flamenco-inspired guitar licks much to the crowd’s evident approval. The piano medley is disappointingly short however it is proceeded by a few minutes of beautiful tinkering on the keys before ‘Little Red Corvette’. The closing ‘America / D.M.S.R.’ jam is extremely lengthy at around 30 minutes and includes a unique slowed down, lazy groove version with the lyrics rapped over the beat. The quality of the recording, whilst being a major improvement over the original is still slightly lacking and has a hollow feel to it. 4DaFunk have done a lot of work, but miracles aren’t possible and it still has a fair few flaws. That said it’s head and shoulders above the previous version and whilst this won’t be the gem in their catalogue, it’s still a vastly superior release and an extremely enjoyable show.